Miss H is going to be 2 soon and you know what, I’m so over diaper bags. Months ago I decided I missed my favorite purses I had pre-baby and I decided I was going to make it work. I quickly decided what was necessary for on the go and what wasn’t. Miss H doesn’t need much these days, just a quick diaper change, extra pair of leggings, a snack and maybe a coloring book and crayons which leaves me lots of space in over sized tote purse. Even though I don’t have much, I still have to have a Mary Poppins Bag – always be prepared with anything that can come my way when we’re out and about! What I came up with was a great pouch system. 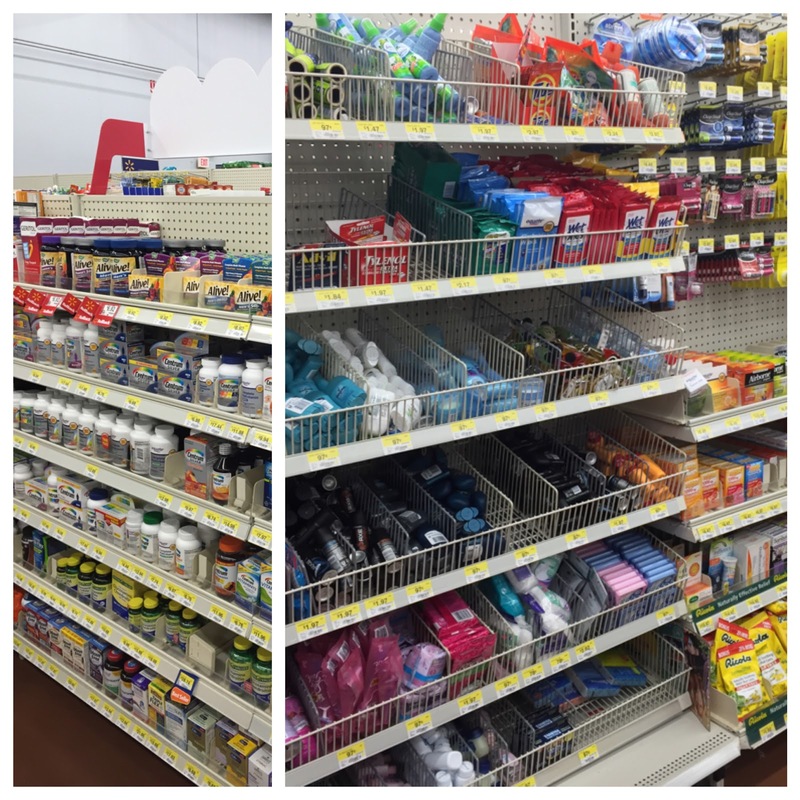 I could easily take the pouches out depending on where we were going and what we were doing. I have a pouch for me, and a pouch for Miss H.
I like to expect nothing will but anticipate anything will happen when we are out. 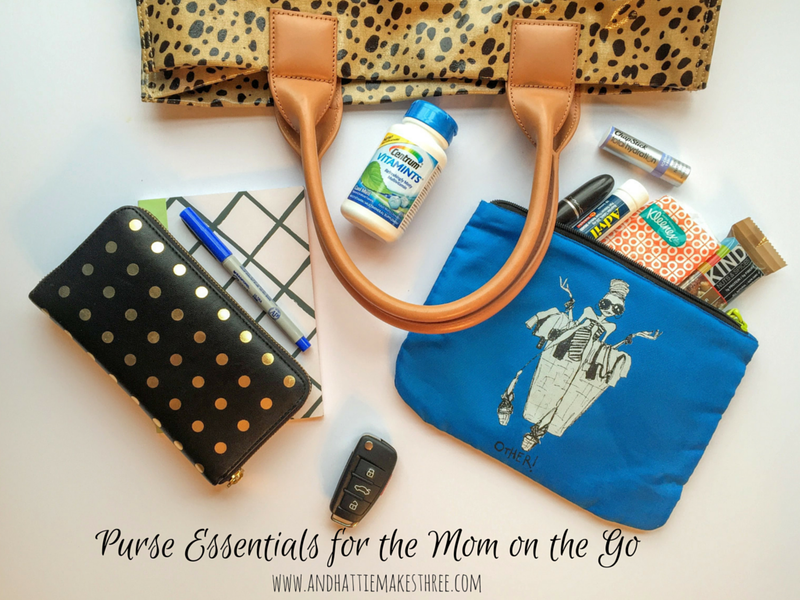 Here are some my favorite purse essentials I carry with me in my own bag to keep me healthy and sane! Chapstick Total Hydration – Instantly smooths and moisturizes and perfect to layer under my lipstick or gloss. I love the vanilla smell, and my lips feel so soft. Advil Vial – The original round tablets providing safe, effective pain relief for over 25 years. This little vial is a great size for my pouch. This is perfect for when your toddler is melting down and your headache just won’t go away! We’ve all been there, right? Centrum VitamMints – Essential Vitamins. Minty Taste! And a good back up in case you need to freshen your breath! Pen and Paper – You never know when you need to take notes. Tissue – For all those happy and sad moments and stuffy noses. So now I’ve showed you what I carry in my purse and how my pouch system works for me. Tell me, what are your purse essentials? Anything I should add to my list? Totally stealing "Mary Poppins bag" love it!!! I dont carry a purse with me anymore and it is so liberating but with that said I do have a huge 31 Bag tote that I use as a diaper bag and that thing is loaded up. Snacks are a must!